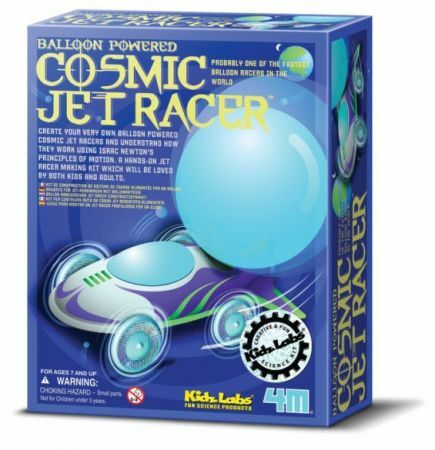 Create your own balloon powered cosmic jet racers and understand how they work using Sir Isaac Newton's principles of Motion. Race your friends with the two cars in this kit. A hands-on jet racer making kit which will be loved by bothe kids and adults. For Ages 8 - Adult.